World Fantasy Con, here we come! 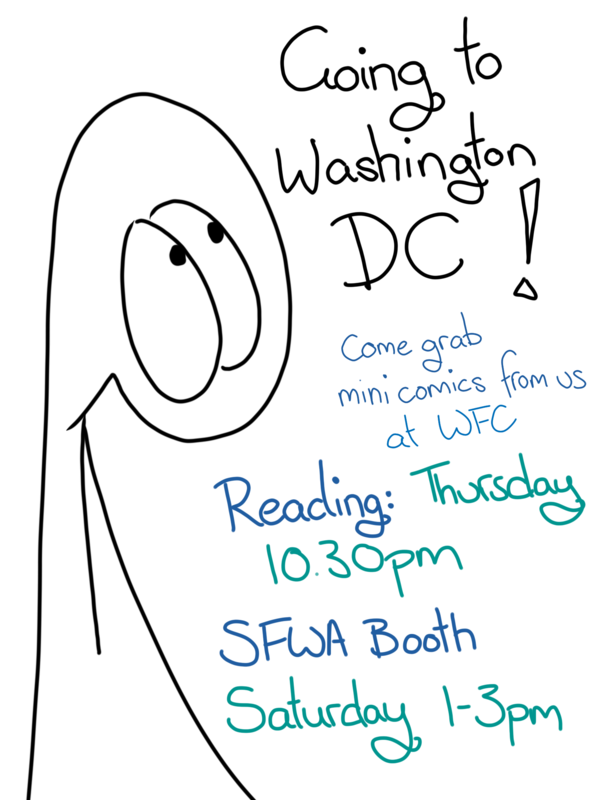 Liz Argall will be reading on Thursday at 10.30pm and available to do sketches at the SFWA table on Saturday 1-3pm. Throwback Thursday – Things React to Two Uncanny Stories!